Getting a job and finding one that suits you and your personal needs seem to be a little harder nowadays due to competition, work demands, new trends, and other factors being set by companies. That is basically the main reason why getting job offers is something to be truly celebrated. Though, all aspiring employees must always keep in mind that job offers shall be accepted on certain conditions and employers. On the other hand, the one hiring must be able to provide the precise offering that they can give to an applicant who passed their exams and interviews. 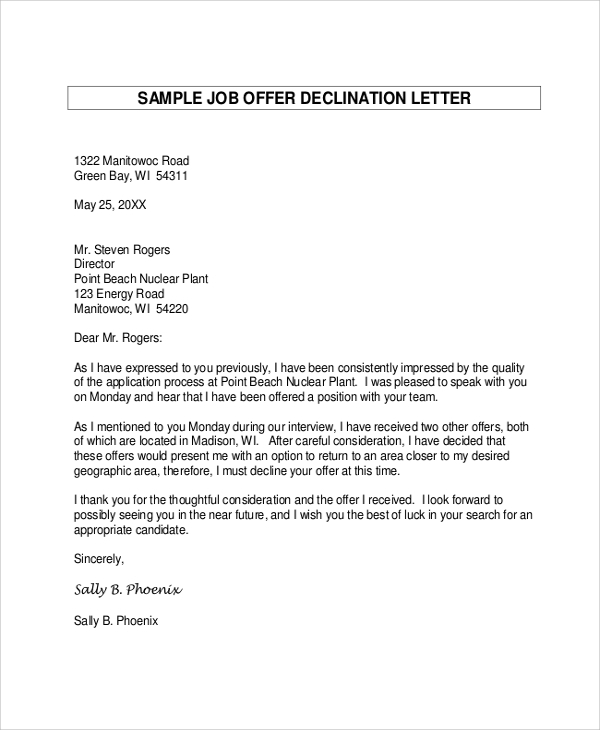 Not all job offers have to be accepted, and one must put thorough reading of all the pages just so to assure that there will be no points of conflicts once the job has already been accepted. 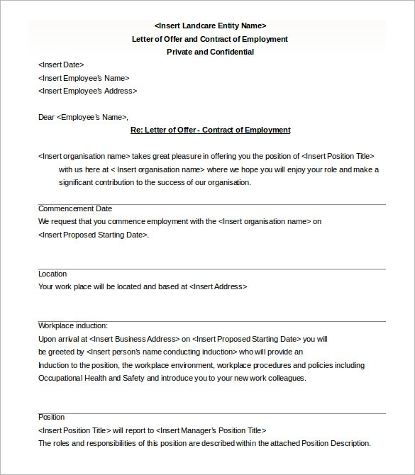 Whether you are an employer or a person seeking for a job, we have Sample Letters that can help you create the documents that you need. incentives and how you will be able to achieve getting them. As a possible candidate, these are necessary points that you need to check so you can verify if the offer given is fit for your needs. You need to be keen in terms of what is written to the job offer as you have to life it them as long as you are part of the company whose job offer you have accepted. 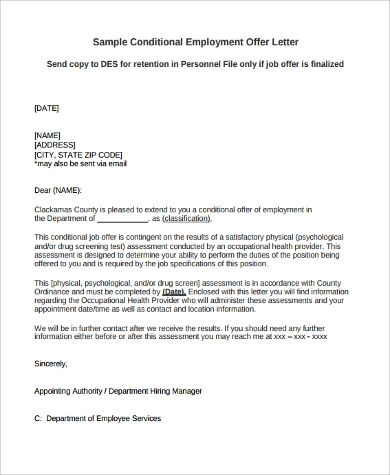 If you happen to be an employer, you may check Sample Letters of Employment Verification so you can make sure that the offer you are to give is worthy in terms of the past employment and experiences of your possible employee. It is very important to find the best people who can do the tasks of the job you are providing. 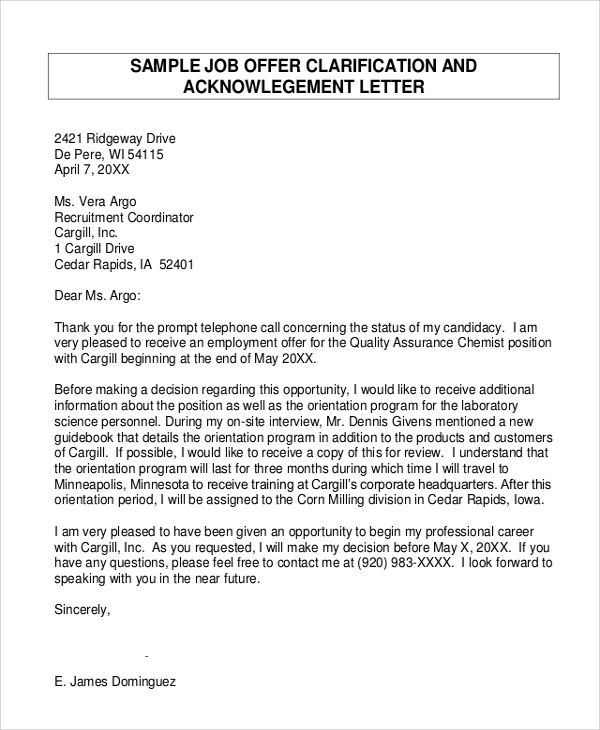 A job offer should always be reviewed well as it leads employees to the career paths that they want to take. It can dictate the road and direction of their professional lives. 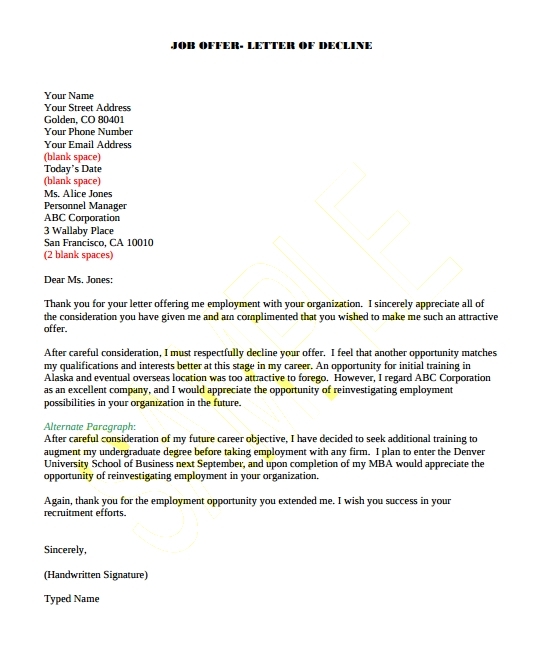 That is why as much as possible, offer clarifications of the job offer and contract of employment must be done. Everything must be set and concrete before an accepted applicant signs the offer. Never forget the fact that job offers shall be beneficial and passable both to the employer and the employee. 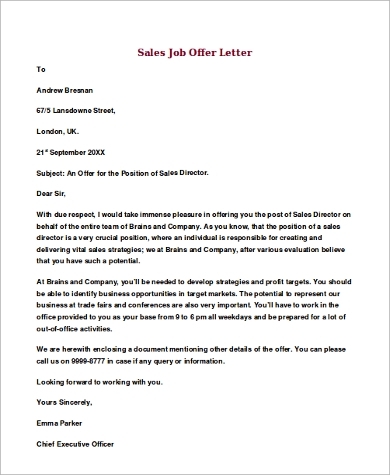 If you feel that you deserve more or there are things written in the offer that the company needs to edit or change, a counter offer is the solution. 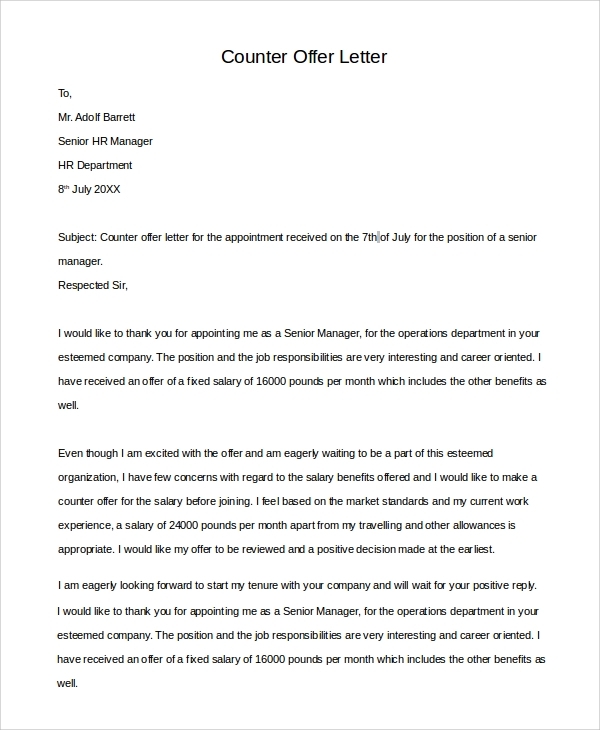 Do not be afraid to write a letter addressing the company regarding this matter. We have template samples for that concern too. 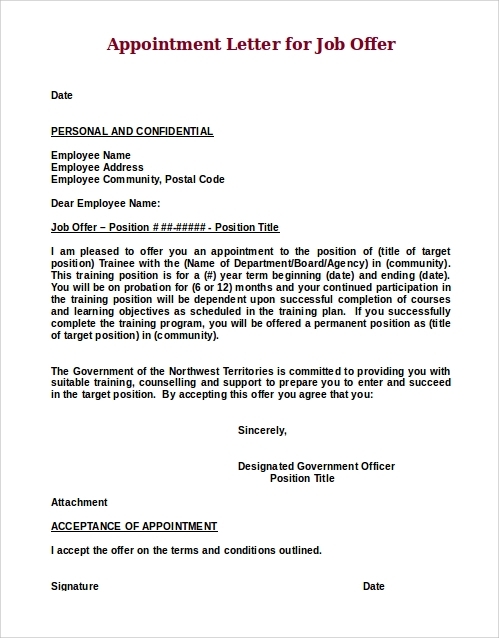 Should you think that a job offer is already okay, is written well and in a concise manner, and has all your needs and the information you need to know in it, writing a job offer acceptance letter would be the next step to do. 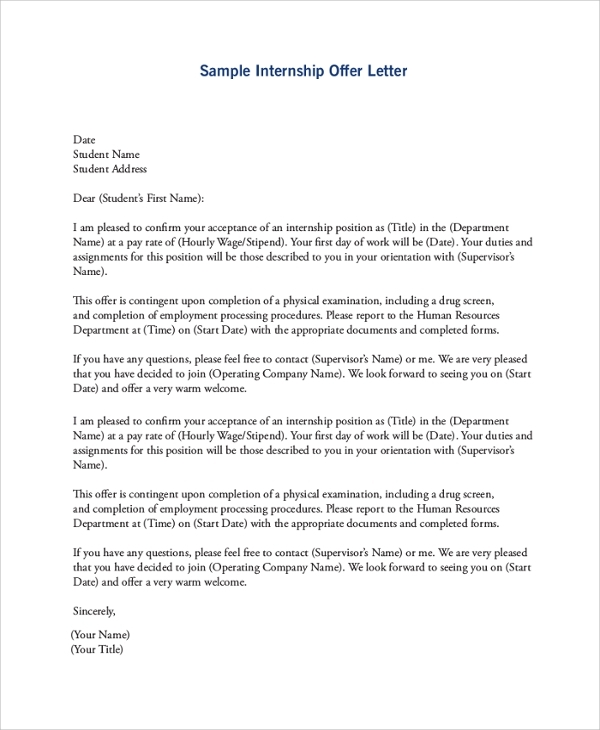 You may view Sample Job Offer Acceptance Letters so you can already get started.